The 2005 Audi A6 3.2L QUATTRO, from the manufacturer that turned the rally world upside down with its revolutionary all-wheel drive system 38 years ago. A leader then and still today. 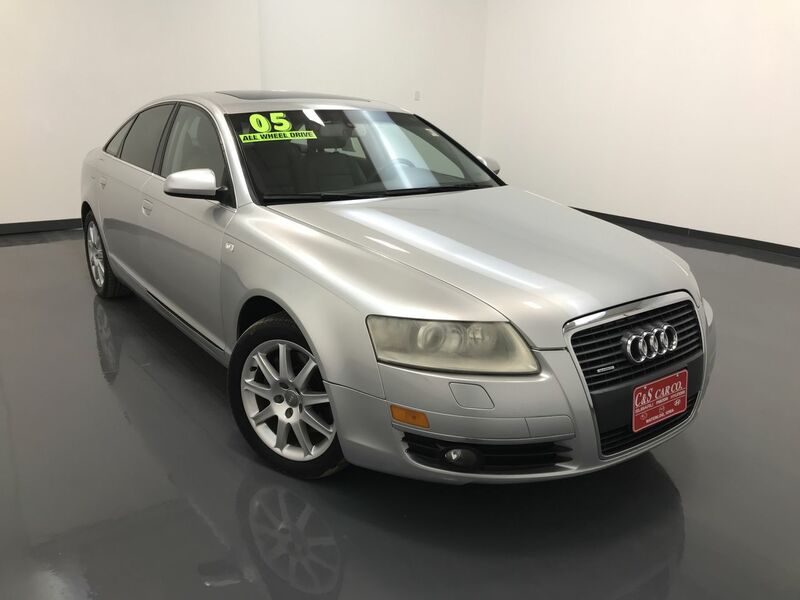 This A6 QUATTRO has a leather interior with four heated seats, power assisted front seats, and a 2 person memory for the driver's seating position. There are dual climate controls, keyless entry, a sunroof, wood grain interior accents, and an infotainment system with navigation and an AM/FM/CD sound system. The exterior features 17" alloy wheels, and back up sensors. Call C & S Car toll free at 866-212-8718 or locally at 319-291-7321.